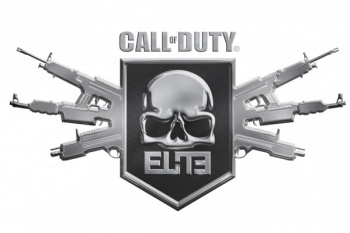 Call of Duty: Elite Could Make Similar Services "A Necessity"
Activision believes player services like Call of Duty: Elite could keep franchises profitable for years to come. When Modern Warfare 3 and Battlefield 3 hit shelves later this year, fans will likely argue the merits and flaws of both games until the fourth installments come out. One topic of contention will be Call of Duty: Elite vs. Battlelog, the social network/content management services that will accompany each game. Activision predicts that no matter which service comes out on top, though, the comprehensive player management service is here to stay. The company believes that five years from now, every high-profile multiplayer game will have to embrace a similar system in order to stay competitive. "We believe that a 24/7, year-round services strategy that broadens the game experience beyond just playing is going to be a necessity," says Jamie Berger, an Activision VP. "Right now, it's an option but in three to five years, it won't be. To support a diverse player base, you will have to have a services and ongoing content strategy." Activision's own Call of Duty: Elite will be a paid service that gives subscribers early access to DLC and exclusive ancillary content. Furthermore, it will give players access to a social network of like-minded CoD players. EA's Battlelog, on the other hand, will be a free service that provides social networking and matchmaking; players will have to buy DLC separately. By strengthening players' social ties and making it easy to manage their game add-ons, Berger is confident that these services will keep players invested in both individual games and their parent IPs. "Elite is about Call of Duty being bigger than ever five years from now and laying the groundwork for that," he explains. Meanwhile, EA is prepping FIFA 12 and Need for Speed for similar services. Social networks and regular content packs have worked wonders for MMOs, but Call of Duty: Elite and Battlelog will likely determine whether they can present a workable model for online first-person shooters. If these services end up being profitable, franchise-specific social networks could become a fixture of multiplayer gaming.